NZ Superannuation Fund (NZS) head of investments, Fiona Mackenzie, has resigned to assume a new position as head of direct wealth for stockbroking firm, FNZC. Mackenzie’s resignation coincides with the departure of NZS investment analysis manager, Roland Winn, who returns to his native Australia. An NZS spokesperson said the $36.6 billion fund had started recruiting for both positions with Mackenzie and Winn formally due to finish next month. 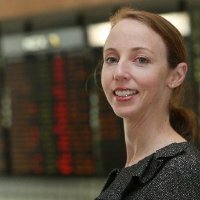 Prior to joining the NZS in September 2011 Mackenzie served for two years as head of markets and strategy at the NZX following a 10-year stint in the US with investment banks Credit Suisse First Boston and Morgan Stanley. She also headed the NZS investment committee from July 2014 until the end of last year. According to the just-released NZS annual report, the fund experienced its highest staff turnover in years with almost 14 per cent exiting during the 12 months to June 30. Just over 17 per cent of female staff left the fund during the year while 7.6 per cent of male NZS employees chucked in their jobs. For the first time, too, prompted by Human Rights Commission advice the NZS report revealed the difference in pay between genders with its male staff receiving an average 37 per cent more than female colleagues. In total, NZS staff numbers increased to 127 from 115 as at June 30, 2016. “During the 2016/17 year, we confirmed three permanent internal transfers and 11 promotions,” the NZS says. The report also says the NZS “merged our investment analysis into our asset allocation, direct and external investment teams” during the year. “This structural change is helping to streamline the investment process from opportunity identification right through to ownership,” the annual report says. The 216-page document reveals a number of other innovations for NZS including the appointment of State Street to manage a securities lending program, which launched this June. According to the NZS spokesperson, the newly-minted lending program would generate “additional returns from our large passive portfolio” while also offering “another liquidity management tool”. “We expect the utilisation rate (how much of our passive holdings might be lent) to be 8% for equities and 18% for bonds,” the spokesperson said. NZS accounts show about $91 million of assets held as “collateral against securities lending and similar agreements” as at June 30 this year. The report cites the potential revenue from lending against its passive holdings as a factor in the decision not to implement a ‘concentrated portfolio’ – an idea up for debate in NZS upper echelons during the year. Possible cost savings and efficiencies in managing responsible investments of the concentrated portfolio approach, however, did not sway the NZS investment committee. Arrange asset delivery to minimise financing costs in meeting collateral obligations. Other back-office moves during the previous year saw the NZS opt for the US-based Quantifi portfolio and risk management system after a fraught selection process that saw it change tack on preferred providers late in the piece. During the 2016/17 fiscal period the NZS paid out manager fees of almost $41 million after returning about $5.3 billion before tax (a gain of almost 21 per cent). The fund also shelled out about $33 million in staff costs over the year, including about $1.2 million paid to chief executive, Adrian Orr – whose remuneration was criticised by the State Services Commission boss, Peter Hughes. Further details explaining Orr’s pay packet were included in the NZS annual report. The fund also incurred other costs “of NZD39.4 million including (in order of significance) trading fees paid on investment activity, custodian fees, IT costs and other professional fees paid to external parties”, the report says. NZS paid roughly $1.2 billion in tax over the latest annual period, the report says, equivalent to about 10 per cent of the current yearly cost of the government funded age pension. Due to the vagaries of the NZ ‘fair dividend rate’ (FDR) regime – which taxes global equities at a deemed annual return of 5 per cent – the NZS tax bill can be “volatile”, the report says. The fund also included Sharpe ratio statistics for the first time across its reference and actual portfolios since inception with both beating projections for the risk-adjusted performance metric. Since inception the actual NZS portfolio recorded a Sharpe ratio of 0.5 against an expect 0.26 (where a higher score represents greater return per level of risk).